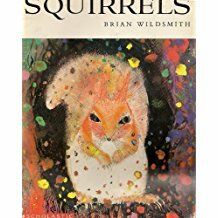 After my interaction with this glorious picturebook, I looked for more of Brian Wildsmith. And why I look for more when I take a bite of something so savory, is because I might just find an old friend I didn't recognize. 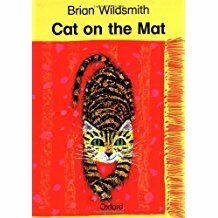 Two of his many books, Cat on the Mat and Squirrels are in my collection. 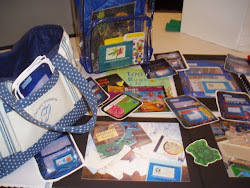 I share them on the Autumn book shelf, and even use my multiple copies of Cat on the Mat for emergent readers during their guided reading groups. So back to Bear's Adventure...The illustrations are stunning. 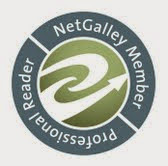 Each page is like a painting or a one of a kind greeting card, sharing beautiful animals, prints, textures, and colors. 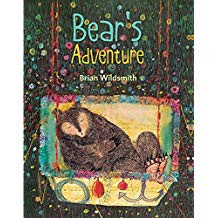 I have read other fictional tales about bears ending up in the city and confusing man made purposes from the natural world, but I haven't before this book, watched a bear be mistaken for a man in a costume after falling asleep in a hot hair balloon and ending up in a parade. Nor have I seen an urban environment displayed with such colorful and gentle texture and delicate care. This picturebook has adventure, humor, and reminds us that even a moment spent among chaos, has perfection. Bear just goes along with every unraveling mishap, seeming to be led a step closer to where he is suppose to be- no matter what direction he takes to get there. The art on the cover was the first thing attracting me to this book. 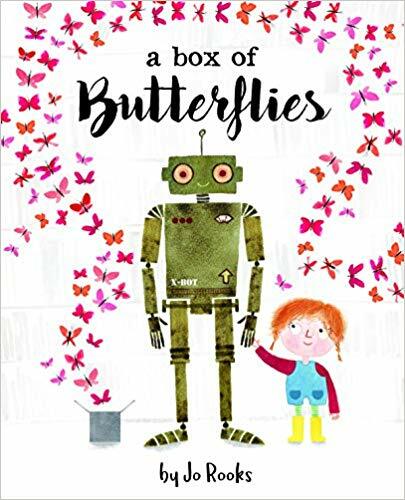 I like the sense of sweetness and warmth displayed in the robot and child, and the gentle movement of the delicate butterflies (that match the color of the robot's eyes) exhibit in their flight. The font used in the title adds to the beautiful presentation. The book's clever lead is a fairy tale's final words and Robot expresses he does not know what love feels like. As the child describes similes to emotions, the narrative leads towards text and illustrations describing emotions like worry and anger in accessible ways, before ending with...LOVE. On the last page the Robot has a heart, for a tender resolution. I think if the pages had all been used used to describe love, it would feel less like a teaching tool for emotions, and more like a story about love. With that being said, this is an adorable book. I am going to recommend our guidance counselor adds this to her collection, and reads it to the K-2 kids as part of her practice.